We make it easy for developers to integrate, manage, and market their own products on your marketplace. Build a powerful third-party ecosystem by arming developers with a comprehensive set of tools to build solutions for your marketplace. Offer state-of-the-art onboarding and management tools that automate integration testing, maintenance, marketing, and reporting. Allow third-party developers to create and manage solutions on your marketplace. Developers create the product profile — a description, resources, and pricing and editions — and submit for publication. This approval step ensures you control your marketplace catalog. 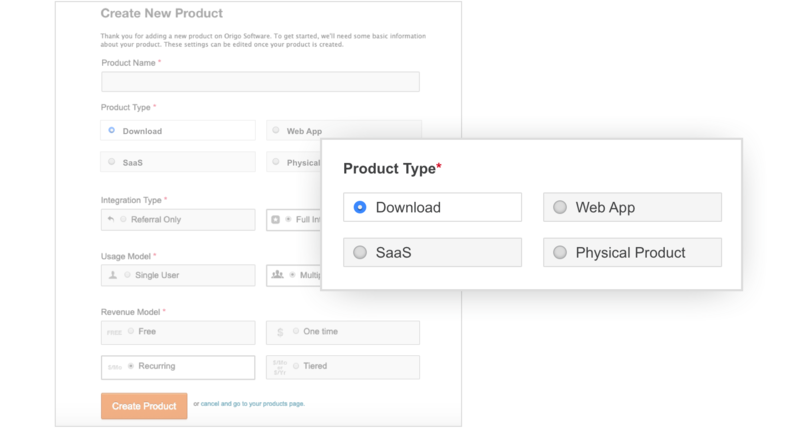 Developers can onboard a variety of products, including SaaS, domain, downloadable, web-based, and physical products. They can select their billing management model, such as one-time or recurring billing, as well as whether they offer a single or multi-user solution. Enable developers to manage and deliver multiple versions of their products. Developers can use the versioning system to manage updates and changes in development and production environments. 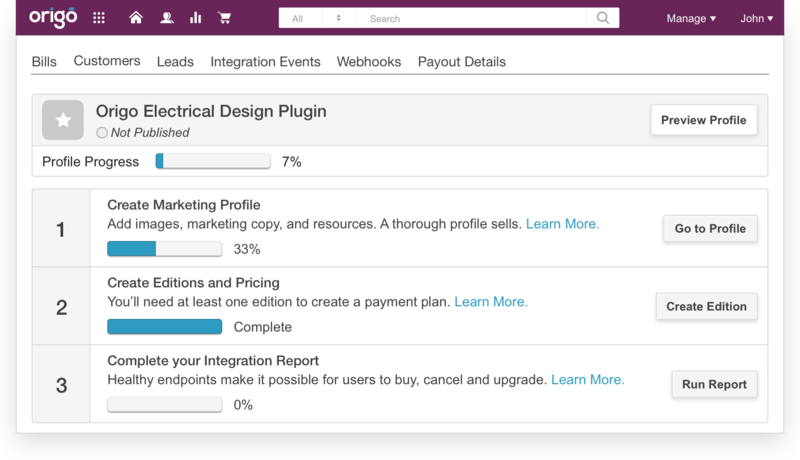 Once ready, they can easily push the product live with quick approval flows. Set the price of your product and the AppMarket reconciliation engine will account for discounts and different rates by vendor to parse out the amount owed to each party. Developers can use out-of-box payments gateways to receive their monthly revenue share payout. 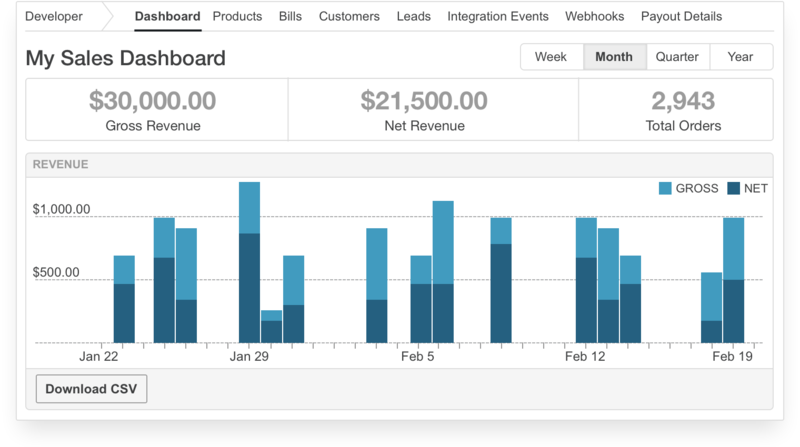 AppMarket equips developers with sophisticated dashboards to track activity and success. It allows vendors to see how their applications are performing, from the number of subscriptions and order details (start date, billing periods, etc), to usage metrics, invoices, and payments.